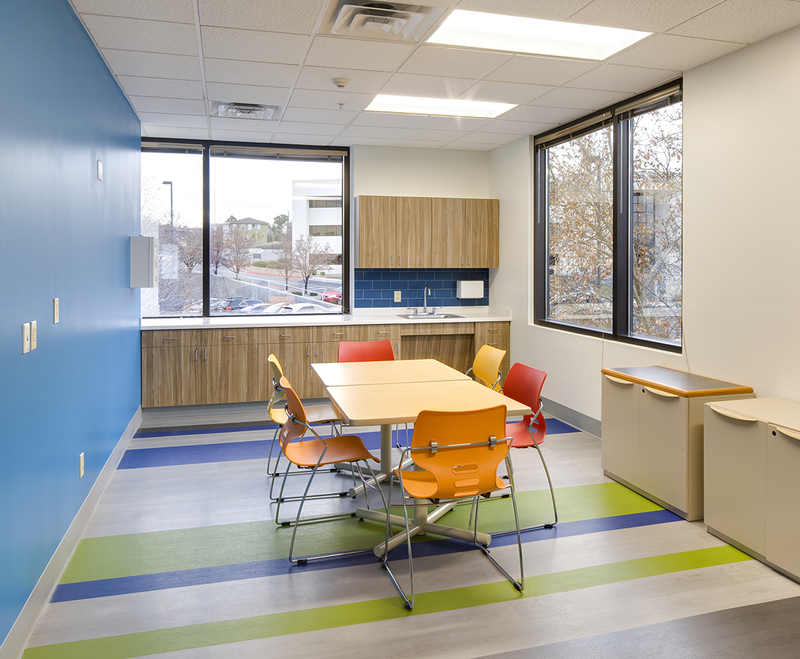 The Lovelace Altura project took an existing and quickly aging office space and rejuvenated it; creating an active, healthy, and revitalized place to work. 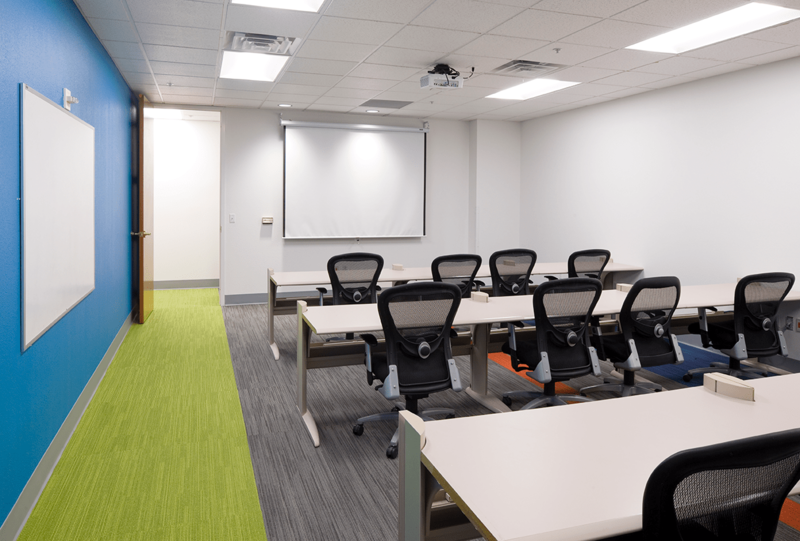 This was accomplished by renovating approximately 27,000 square feet of existing office space. Fresh, bold, and exciting colors were introduced throughout the work space, both in the new flooring and along the walls. 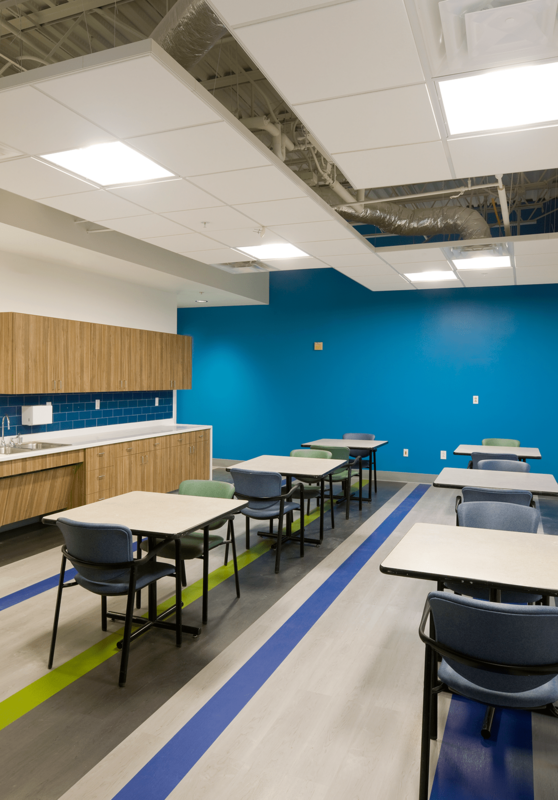 The breakrooms were re-energized with modern-day finishes, new casework, and creative solutions, like writable surfaces along the walls, all of which promote the collaborative employee community. 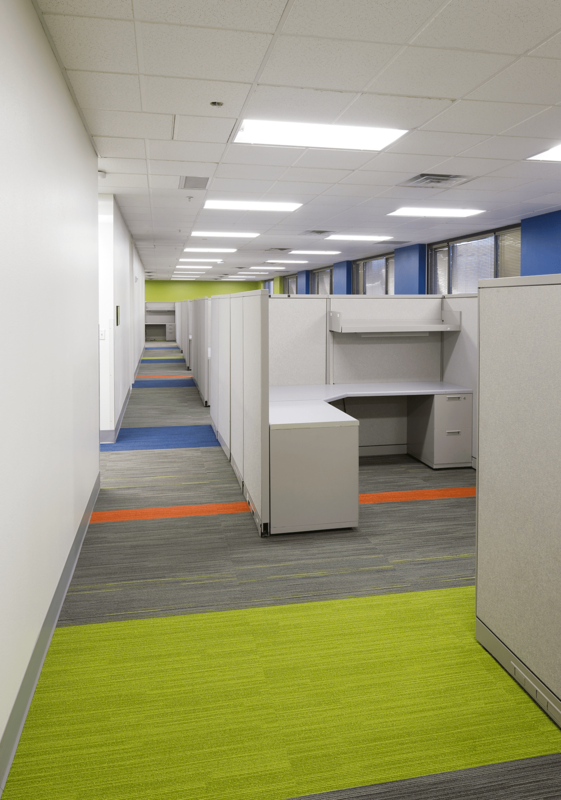 The fatigued and beat-up existing office furniture was replaced with modern, modular office furniture fit for the present-day mobile office worker. The out-of-date lighting fixtures throughout the space were replaced with energy saving LED lighting. The workplace was physically reconfigured to maximize efficiency, all while expanding the open offices throughout, which enhanced the connections to natural lighting and views to the outdoors for all employees. 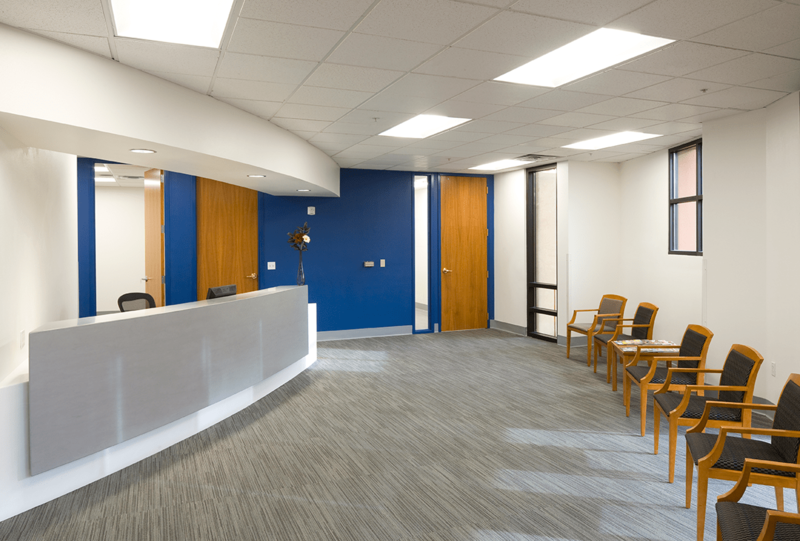 The reception area was also critical to the remodel’s success; a new, monolithic yet minimal contemporary reception desk was added to match the energy of the workspace throughout. The remodel allows for Lovelace Health Systems to continue to compete in their market by providing a working environment that attracts new and enthused people while retaining the talent they already have.